In 1977, my parents moved my two siblings and me into a second-story, 3-bedroom apartment on Santo Tomas Drive in the Crenshaw area of Los Angeles. It was one unit within a one-square mile section of apartments informally called “The Jungle.” The area included apartment buildings with whimsical names like Coco Capri and The Islander and boasted swimming pools, large living spaces, courtyards with palm trees and birds of paradise. There were scenic views of the Santa Monica Mountains, the glimmering Hollywood sign, the white dome of Griffith Observatory, and the homes perched atop Baldwin Hills. I was 7 years old then, and didn’t notice the shady goings-on in the alley beneath my bedroom window. Nor did I really care about the thwap-thwap-thwapping coming from that helicopter that circled over our neighborhood. I had other things to do: playing with a new baby brother, watching the Family Film Festival on KTLA, and gobbling canisters of these new things called Pringles. But by 1982, I was in seventh grade, and had developed angst and the ambition to be a writer. I wrote in my journal every night, and began to see my parents, to see me, and also, note my surroundings. I started visiting the homes of church friends. I noted the differences between our apartment living and their more comfortable house living. Lawns. Washers and dryers in laundry rooms in the house. Driveways. Someone mentioned that Ray Charles lived in one of those houses up the hill from mine and… Huh? Those giant things were houses…? One family lived in…? And Ray Charles? The singer? Ray Charles is black. You mean black people, one family of black people, lived in those giant houses way up on that hill…? Pop-pop-pop. Somebody shooting again. Crawl over to the television or the stereo, twist the knob until the sounds of “Dance Fever” or Earth, Wind & Fire overtook the noise of angry men in the twisty, dead-end streets below us. But then, nothing—not Deney Terio, not Philip Bailey—competed with the ghetto birds. Helicopters, lots of them, often pulled my gaze away from those houses. Cops in the sky. Almost always at night, the police helicopters roared by with bright lights that ripped through bedroom curtains and past the squeezed-shut eyelids of men, women, and children. And they’d come so low, I imagined feeling the chop of the blades against my numb cheeks. My stomach vibrated with the rumbling, and my heart skipped and I forgot to breathe as sirens wailed so loud and so close and swirling blue and red lights reflected off my bedroom’s yellow and green floral wallpaper and I prayed for it to be over. And it was over… until pop-pop-pop or a woman screamed or glass broke in the darkness. In the early ’80s, the breaks between quiet and violence shortened as more young men began to hang around the neighborhood—they lounged on car hoods, blocked the sidewalks, and huddled on the balconies of the front units. We walked quicker now from our car to our apartment. My siblings and I no longer met the eyes of kids we weren’t allowed to play with. And then, the owner of our apartment complex erected wrought-iron security gates. Drugs and gangs—and the Los Angeles Police Department—had finally hijacked Santo Tomas Drive. I only got asked once in my life if I was a gang member. A girl at junior high school asked: “Where you from? What set you claim?” I gawked at the question because did she not see me? Did I look like I was a Blood or a Crip? Thirteen years old, wearing thick glasses, rummage-sale green Chemin de Fer jeans and a plaid shirt that buttoned on the side. Honor roll student but bad at math. Played hand-bells at church. 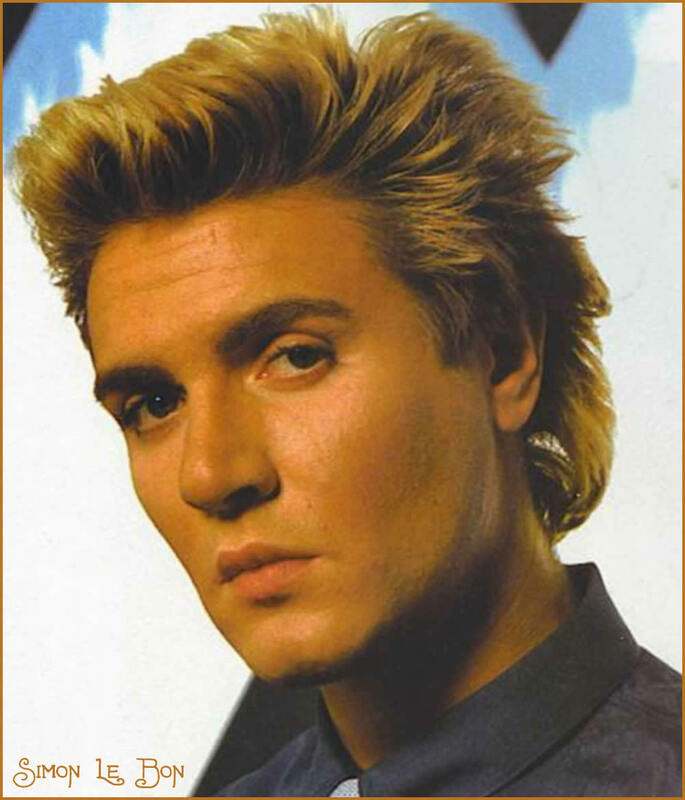 Had a crush on Simon Le Bon of Duran Duran. But she asked. And I told her that I didn’t claim anything. She believed me and didn’t hurt me. Unlike the countless boys and men in the Jungle who got hurt… or worse. Every week, I heard tales of so-and-so was shot, or so-and-so was jumped. Bullets peppered concrete and tree trunks. Gunshots became bird song. The nuts who lived in the apartment beneath us shot at each other every other new moon. What the hell? I started looking up at those houses on the hill more and more. Did those people, the ones who looked like me, have their sleep interrupted by police helicopters, gang noise, and domestic drama that spilled into courtyards and alleys? Did the kids in those neighborhoods play with each other? Did their birds of paradise look ashy like ours? And how did you get to live in houses like that anyway? We drove up there sometimes—my mom’s best friend lived in an apartment in Baldwin Hills. Black people watered those lawns and painted eaves, washed nice cars, smiled and waved at each other as they walked dogs. Smelled like fresh grass up there, honeysuckle and barbecue smoke. So quiet. So… clean. Mom and Dad deserve to live up here, I thought. They worked hard. And our apartment was clean. We got good grades. We went to church every Saturday. I was no different from my friends LeToia and Gigi and all the rest. Sure, their parents had suffixes and prefixes before and after their names. 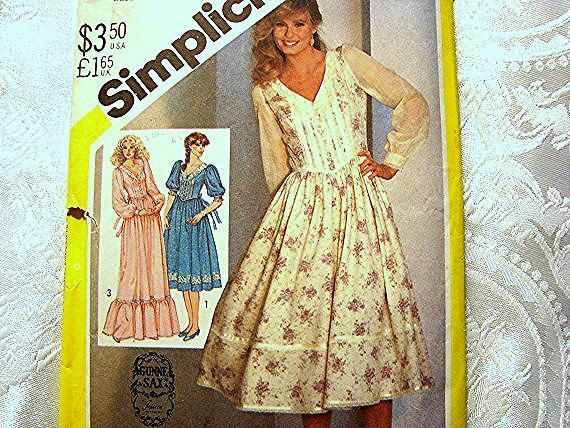 And they wore Gunne Sax dresses to church, and went on vacations that required climbing aboard airplanes. What was my family not doing that kept us from being up on that hill? I wanted up that hill. Not because I was ashamed (although high school is a time in every child’s life, no matter their socio-economics, that they are ashamed of something). No. I wanted up that hill because of the order that hill promised. I was, and continue to be, a child of order. My family moved out of the Jungle in 1985—I was 15 and my sister was 13, and we had started to attract the attention of neighborhood thugs. At 7, my little brother was still too young and too protected to be “jumped in” by gangs and my older brother had graduated from college. Mom and Dad had successfully shielded us—but for how long? Gang violence and police abuse had worsened, and the apartment complex’s security gate door no longer locked. For three years, we lived in a pistachio-green house off Central Avenue, a neighborhood of taquerias, chickens roaming the block, Iglesias Pentacostales. Then, in 1989, Dad landed a great promotion, and like Weezy and George Jefferson, our family moved into a deluxe apartment (well, not deluxe but the nicest place we’d lived) in drama-free and relatively safe downtown Los Angeles. My last April at UC Santa Cruz, I watched televised coverage of my former neighbors looting and fighting. Watched palm tree fronds catch fire. Watched the National Guard setting up sandbags in the parking lot of the Sports Arena. Awed, I could only shake my head and hope for the best. “The best” has happened in some ways: Gang injunctions and better community policing. Slumlords have been forced to improve living conditions in those apartments between Crenshaw and La Brea. Businesses like Cinemark Theaters and Sears bring money into the area. A fancy meal at Post and Beam makes you forget, for a moment, the still-abandoned Santa Barbara Plaza across the street. Crenshaw Boulevard will get its own Metro rail line. 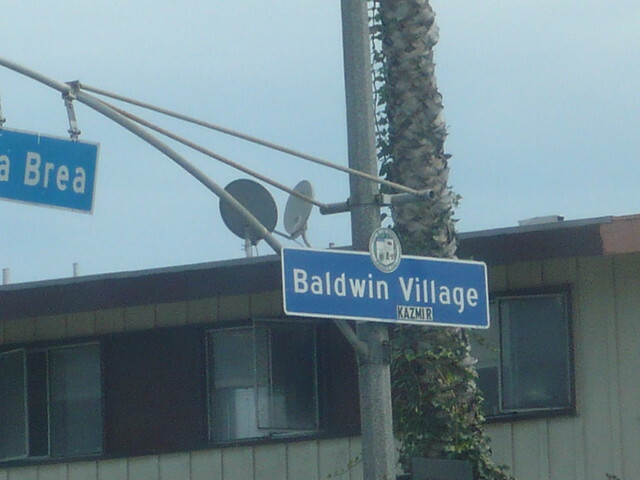 And the City of Los Angeles now refers to “the Jungle” as “Baldwin Village.” There’s even an official Blue Sign just like those hanging in Los Feliz and Silver Lake. For several years now, rumors that “They” (an always amorphous group that includes business leaders, politicians and the Yeti) will tear down the Jungle have drifted around. Parts of me say that’s cool, because too much craziness happens there. Equal parts of me worry—the parts that remember being a member of the tribe of “Those People” (the ones in Those Apartments). We weren’t all thugs, felons, and addicts. We were teachers, warehouse workers, gardeners, administrative assistants, taxpayers, and voters… on a budget. And today, the economics of that area have worsened—the median household income is $36,500, with almost a third of families living at poverty-level. And both Black and Latino gangs continue to survive despite injunctions. So tear down the Jungle and then what? Those residents who don’t gangbang, who work hard, who obey the laws, would move where? Today, I still live in Los Angeles, specifically, in Windsor Hills, one of the wealthiest African-American areas in the country. I don’t live in one of those hillside homes that I grew up looking at, but I am just a mile away. My 10-year-old daughter is living the urban-suburban life that I had always wondered about as a kid. Walking dogs on clean streets. Waving to neighbors you know by name. The smell of freshly-cut grass and orange blossoms. Alas, living in the city still means police helicopters and sirens sometimes waking us in at 1 o’clock in the morning. But no one has asked my girl if she bangs. She knows crime because I write novels that feature an LAPD homicide detective. In my daughter’s world, people die because they are old or sick or their cars crashed or their planes fell from the sky. She knows that Mom grew up in the Jungle because we pass it nearly every day and she sees that I always look over there, every single time, to glimpse my childhood home. Rachel Howzell Hall is the author of Land of Shadows and A Quiet Storm. She lives in Los Angeles with her husband and daughter. She wrote this for Zocalo Public Square.